April can prove to be a make or break month for certain species of moth making it onto the year list at Tophill Low NR in East Yorkshire. Currently trapping is challenging given overnight temperatures, and the records show that certain species are scarce on site. This Early Grey Xylocampa areola taken at light on April 21st was only the fifth in the site’s recording history – which dates back to 1992. The first record was in 2001, the most recent being of single last April, the species is present, but only in small number. 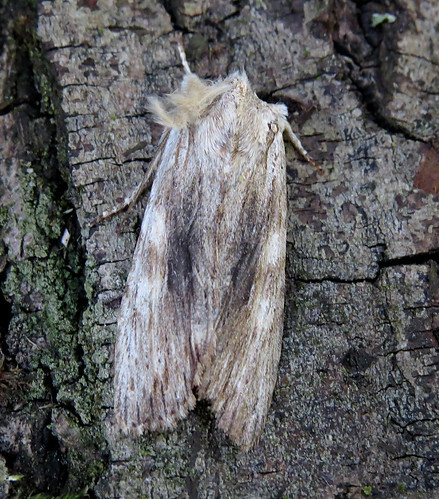 The highlight of the week was this Pale Pinion Lithophane socia trapped overnight on April 22nd. 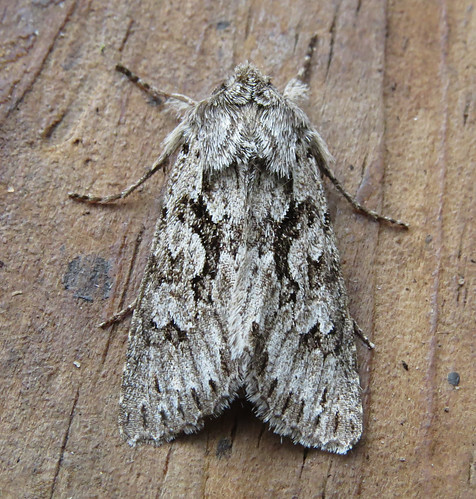 First recorded in Yorkshire as recently as 1996 (per Yorkshire Moths) it wasn’t until 2004 that the species appeared in VC61, and it still remains a scarcity in the eastern parts of the area. The individual below the first Tophill record since 2009. 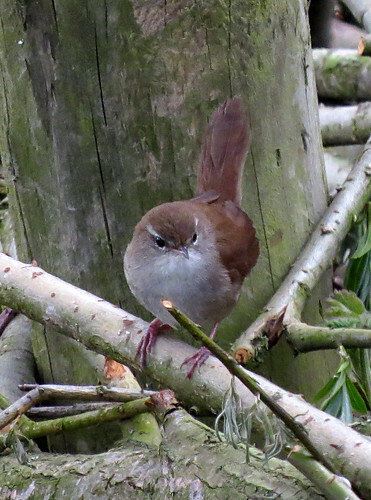 In comparison to the species above, Cetti’s Warbler Cettia cetti have been recorded regularly, to the point of being ‘overly‘ obviously present in recent years. This female showed well on April 23rd. The best place to see them is from the North Marsh hide were the birds sit on the fence – just like they did when the first pair breeding in Yorkshire showed well in the same place a decade ago. For the latest news from Tophill check out the official website , twitter feed and Facebook group page. 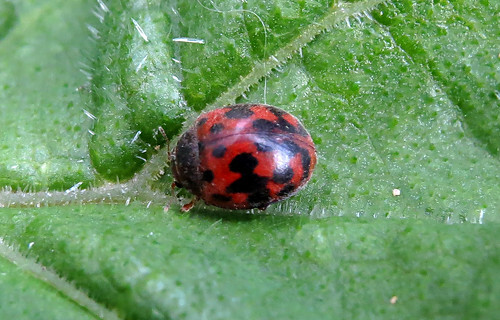 After a winter looking at the masses of variation that Harlequin Ladybird Harmonia axyridis can show, it is now time to enjoy some of the other species that can be found. This period is a good time to catch up with some of the 14 species so far recorded on site, particularly Kidney-spot Chilocorus renipustulatus which show well on trees at this time of year. 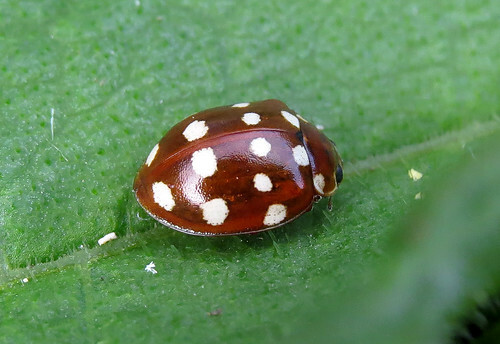 In the right habitat, amongst 7 Spot Ladybird Coccinella septempunctata searching can reveal 24 Spot Ladybird – Subcoccinella vigintiquattuorpunctata and the stunning Cream Spot Ladybird Calvia quattuordecimguttata. Odonata season has now begun. Checkout the latest news, which features the first VC61 Large Red Damselfly Pyrrhosoma nymphula sighting of the year at Tophill on the Yorkshire Dragonfly Group sightings page. This has been an ongoing project for a over decade and all records are greatfully accepted – it is really quite simple – count what is recorded – contribute, and build on what data the group already has.